The 10th amendment of the Constitution wipes out the death penalty. 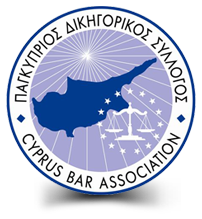 The Republic of Cyprus as a law abiding state which defends human rights and especially the right to life and physical integrity, as a matter of principle, opposes the imposition of the death penalty. The death penalty has been fully abolished in the legislation of the Republic and has not been imposed since 1962, although paragraph 2 of Article 7 of the Constitution provides for the possibility of imposing the death penalty by law in cases of premeditated murder, treason, piracy under international law and an offense punishable by the death penalty under military criminal law. The Charter of Fundamental Rights of the European Union, which the Republic of Cyprus is a Member State of, provides for the abolition of the death penalty. Cyprus has ratified the European Convention for the Protection of Human Rights and Fundamental Freedoms, and the 6th and 13th protocols of it, which provide for the complete abolition of the death penalty. The Republic has also ratified the International Covenant on Civil and Political Rights and the 2nd Protocol of it, which also provide for the abolition of the death penalty. It was necessary to adapt Article 7 of the Constitution to conform to the established positions of the Republic for the protection of human life through the removal from paragraph 2 of Article 7 of the Constitution of the possibility of imposing the death penalty by law in cases of premeditated murder, treason, piracy under international law and an offense punishable by the death penalty under military criminal law. The amendment passed with the enactment of Law 93(Ι)/2016 which was published in the Cyprus Government Gazette on Friday the 16th of September 2016.